By mid-afternoon, the town looked totally in flames, and even the wall in some sections looked on fire. The stream of refugees which became a river when the bombardment began, dried up around noon. The brave men manning the walls kept waiting for the assault, but it would not come. Gerraint packed up his catapults and lead his men east. He left strong groups of little ones behind, the kobold, the brownies and Larchmont with his fairy troop. They would be sure no soldiers or otherwise would attempt to follow, or go in any direction other than south. 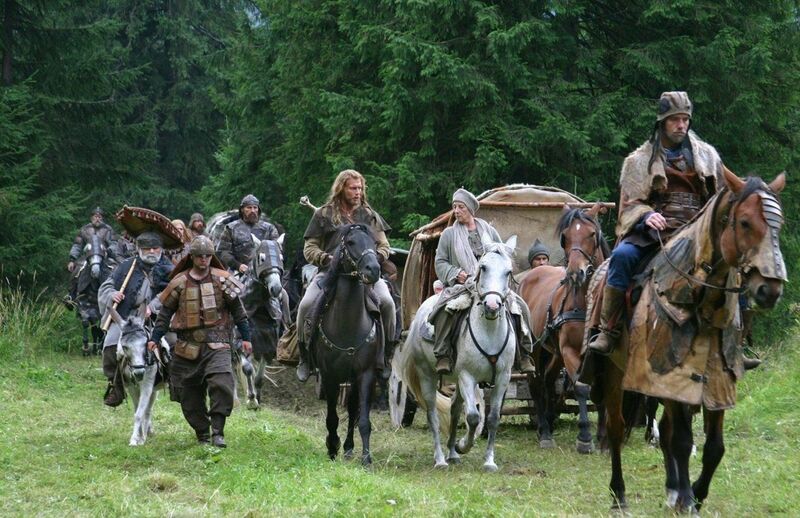 After two days and several attempts, the defenders of the town went south by horse and by foot to catch up with the refugees and left the smoldering wreck behind them. When Gerraint’s men reached the village on the inland road, they found a surprise. 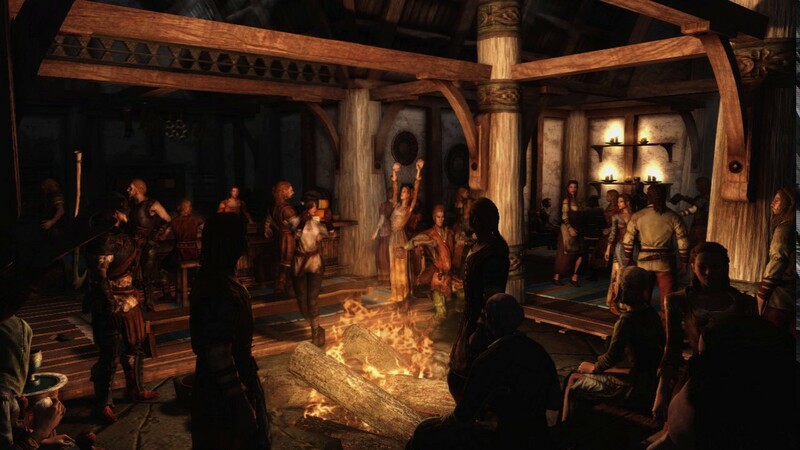 A Frankish troop of about a hundred had moved in and they were enjoying the local ale and entertainment. Gerraint and Lord Birch went alone to confront them. There were arguments, not the least from Bohort and Uwaine. Sergeant Paul wanted to send a troop of escorts, but in the end, Gerraint prevailed. No one stopped them at the village edge. The villagers were too busy cowering in their homes. The Franks watched them, but did not interfere as they rode to the one inn in that village and dismounted. Several Frankish soldiers greeted them there, or rather greeted their horses and began to discuss what fine specimens they were. Gerraint ignored them and entered, then took a moment for his eyes to adjust to the dim light and his nose to adjust to the abundance of alcohol. “Who is in charge of these soldiers?” Gerraint asked. Lord Birch repeated the question in the Frankish tongue. “Who is asking?” a man said, rudely. The man stood, but Gerraint made an imposing figure and this man did not look nearly as impressive. “I am,” the man said without giving his name. “I have heard of this Arthur.” Gerraint waited for no more information. A man grabbed Lord Birch, but Gerraint raised his hand and an electrical charge sprang from his hand like lightning and threw the man hard against the men at the side table. The two who had gotten around Gerraint and were about to grab him hesitated, but then Gerraint went away and the Nameless god came to fill his boots. “Lord Birch.” Nameless tapped his shoulder and Birch reverted instantly to his true fairy form and took a seat on that shoulder. “Let me repeat,” Nameless said, as if he was the one who did all of the talking, which in a sense he did. 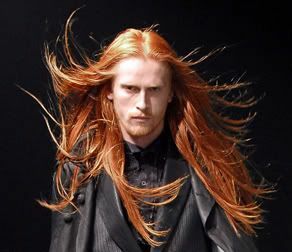 “Go away until I am finished here.” Nameless did not wave his hand like Danna or wiggle his fingers like Amphitrite. 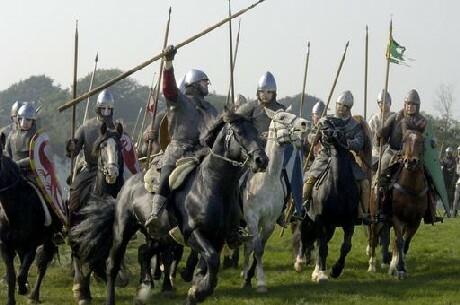 He did nothing overt, but a hundred Frankish soldiers, their horses and equipment instantly found themselves deposited a thousand yards into Frankish territory outside of the village. They rode off in panic, but the commander of the Franks had a thought. “He did say we could kill any Romans who came on to Frankish lands, didn’t he?” He heard an answer, out loud and in his face. He tried to make his horse run faster. Gerraint returned with Lord Birch to the camp. He did not say much as he turned his men to head back to the coast. After that, he did not bother with the inland road. Gerraint gave his men a week around Samhain. It remained time in the wilderness, but the men started getting tired. They took a village around the winter solstice, and Gerraint stayed for what he called Christmas week. The only grumbling he got from his troops came because he made them all go to church on Sunday. Things continued then until late January. Long range reports said men started marching out of Vascon lands. Close by, five hundred Roman cavalry got sent to find the Lion and his men. It did not turn out fair, in a way. The Romans camped in a large clearing not far from the main road. It had snowed in the night and threatened more snow all day, so the Romans were not going anywhere for the moment. Of course, Gerraint knew exactly where they were thanks to his fairy spies, and they had no idea where he might be. So, it was not really fair, and in some sense too easy. Gerraint mapped out where the lancers would reenter the forest on the far side. Then he lined up two hundred of his men and they rode straight through the enemy camp at dawn. Tents got burned, horses run off and men got run through the middle. Some lances were lost and some got shattered, but Gerraint did not stop to fight. He rode his men out the other side of the camp and back into the woods to be swallowed up by the deep shadows under the deep gray sky and the light fog that filtered through the trees. Then he let his remaining men, all his best hunters, join with the elves in target practice. As long as they kept to the woods and moved around so as not to be caught, they could shoot as many as they could reach. One group of twenty Romans on horseback charged a section of the woods where the kobold stood. One horse, devoid of rider, made it to the tree line. At noon, the Romans abandoned their tents and equipment and rode hard for the main road. Gerraint had his eyes watching, but on reaching the road, the Romans went south so Gerraint let them go. He returned to the abandoned camp to count one hundred and thirteen Roman bodies. Gerraint had some wounded and lost three men in the charge. They were the last casualties Gerraint suffered in the campaign, and they were remembered. Uwaine had a comment as they sent out men to round up as many locals as they could find. “Next time we need to bring more arrows.” They put the locals to work digging a great trench beside the road. The Romans got buried there, laid out, but in a mass grave. When they got covered, they made a nice little mound. Gerraint had simple wooden crosses planted, one hundred and thirteen to mark the graves, and then he left the Roman armor and equipment laid out like it was ready to be worn by the dead. “You are too kind,” Bohort said. “You should have left the men hanging from the trees. That would have sent a much stronger message.” Gerraint sighed. Bohort was not particularly bloodthirsty, it was the age they lived in. They had a chance to do that very thing when they caught several groups of advanced scouts from Claudus’ army. Gerraint affected an orderly withdraw, giving up ground only as fast as the army approached. He sent fifty men with Sergeant Paul to the inland road and sent Larchmont and his troop with him. They had to watch ahead and behind, and also be sure the Franks stayed away. He had no trouble, but Gerraint wanted to be sure Claudus did not get the idea of sneaking up the back road in order to get behind him. Gerraint sent a hundred men with Uwaine to the coastal road. They found a few places where the locals snuck back to rebuild, but he left them alone. 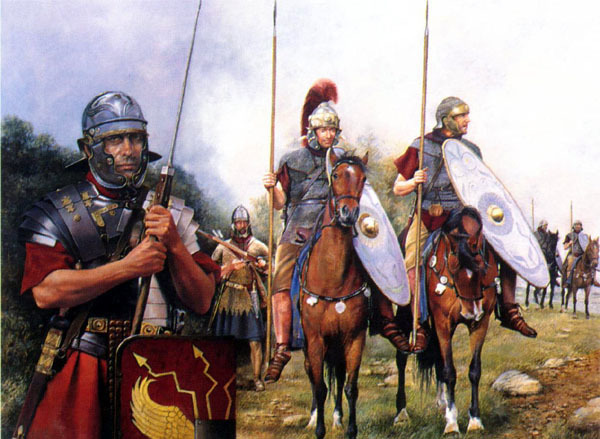 His job was simply to make sure Claudus did not send any more cavalry units in an attempt to get on their flank. Gerraint kept the last hundred and fifty with him on the main road, though by then it had become more like a hundred. They had taken some casualties over the year. He backed up slowly. Bohort called it terminally slow. Gerraint understood that the army of Claudus did not feel motivated. The Romans built the roads so they could move men and equipment quickly. The men of Claudus were clearly not Romans, despite the publicity, and they despised the road because they did not want to move quickly. They counted two full legions coming, roughly ten thousand men, though only about six thousand were actual fighters, the others being supply and auxiliary troops. They were being led by Claudus himself, but even with all that preparation and leadership, they moved like snails. Gerraint got to calling it the escargot army, though no one knew what that was. Gerraint sent messages to Hoel and Arthur as soon as things were confirmed. Apparently, Claudus also managed some messages to his men that were still in Amorica. Gerraint could not imagine how, except maybe by boat. Arthur and Hoel had been having slow success all year and just about had the land cleared, but whatever Romans remained at that point withdrew and went beyond the Vivane forest to hide in the hills and knolls of the open land, as close to the Frankish border as they dared. There, they no doubt planned to await the army of Claudus. Gerraint wrote that they should be taken out, but Arthur and Hoel decided that would take more time and effort, and risk more lives than it would be worth. So, the allies settled in on the edge of the Vivane forest and waited in the snow. Hoel lost most of his army when the Romans vacated the land. The men went home for the winter, but they would be back in the spring or when called. Arthur’s men did not have the luxury. They camped on the cutoff that came down from the north-coast road and skirted just below the mysterious Lake Vivane. That road met the north coast at a very good port where Thomas of Dorset was able to supply the men with many of the comforts of home in lieu of their actual homes. Arthur kept the men busy with a building project they started in January. He wanted a fort literally on the other side of the road from the lake to take advantage of the lake to help keep out any invading force. They just about got the fort finished when Gerraint arrived. Claudus came a week behind, and Hoel’s men still straggled in. Gerraint guessed it would be another week to ten days before the deadbeats all caught up and the two armies settled in to face each other. In that time, Arthur had a notion, and he would not be talked out of it. Lake Vivane, is not haunted, as the locals claim, but it does have its secrets, and Arthur and Gerraint can’t resist a look. They recover a young man that everyone thought was dead, and Arthur sees his first real medieval castle as well as his first real knight. MONDAY.